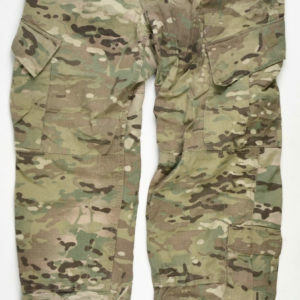 CRYE PRECISION G2 MULTICAM ARMY CUSTOM COMBAT PANTS are designed as a purely operational fighting lower garment, with none of the compromises of garrison wear, they are aggressively cut for maximum mobility. These combat-proven pants feature a padded waist band and high-mobility stretch panels in the knee and lower back. 10 pockets. Designed for use with our patented removable Combat Knee Pads (sold separately). Base fabric is Mil-Spec 50/50 NYCO ripstop. Stretch fabric is durable a 4-way stretch woven.Zipper fly with Velcro cinch tab. Check Size Chart to insure proper fit. Made in US from US materials.